Squadron fly bridge yachts attract a particular type of customer. They want the security of well-proven design features but at the same time they demand the sophisticated advances in marine engineering. 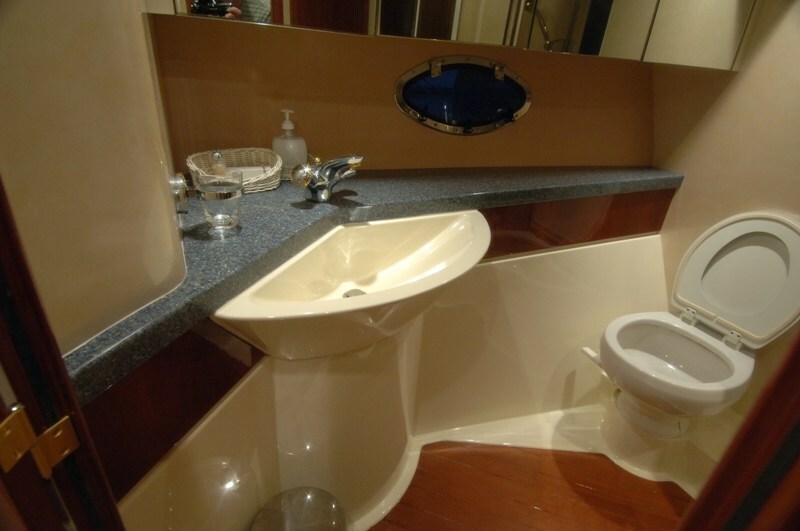 Squadron offers opulent comfort and timeless grace. Where generous living spaces flow freely from one area to the next to create an exquisite ambiance in which to relax, explore and entertain. This outstanding crewed motor yacht, the Fairline Squadron 55, remains one of Fairlines most successful and highly respected luxury motor yachts. 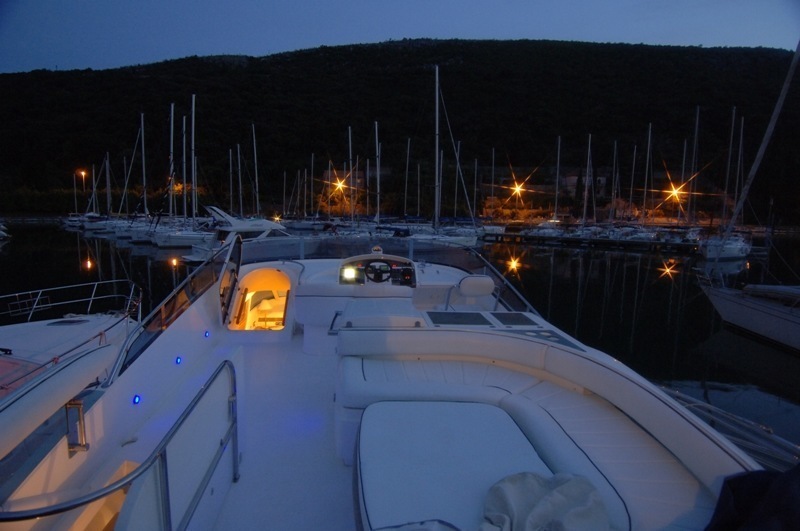 This charter boat, with home port in Dubrovnik, is ideal for cruising the coast and holidays around Dubrovnik and South Adriatic waters. 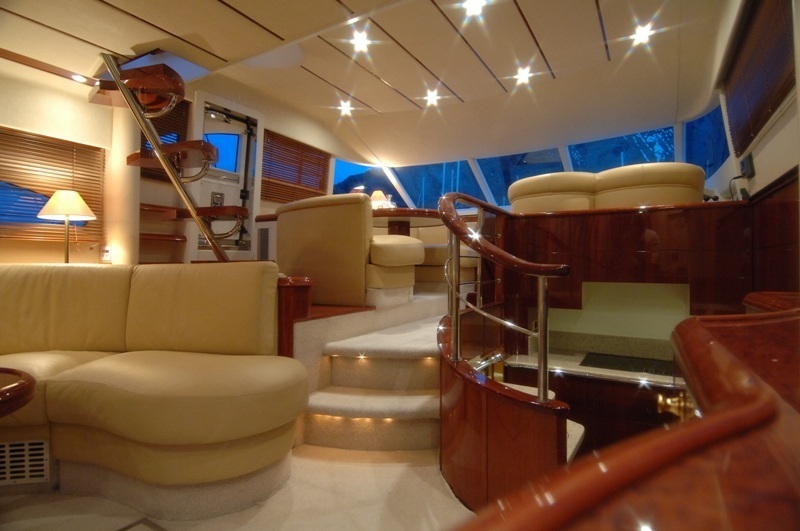 She offers you modern design with an innovative use of space and is great for any charter. 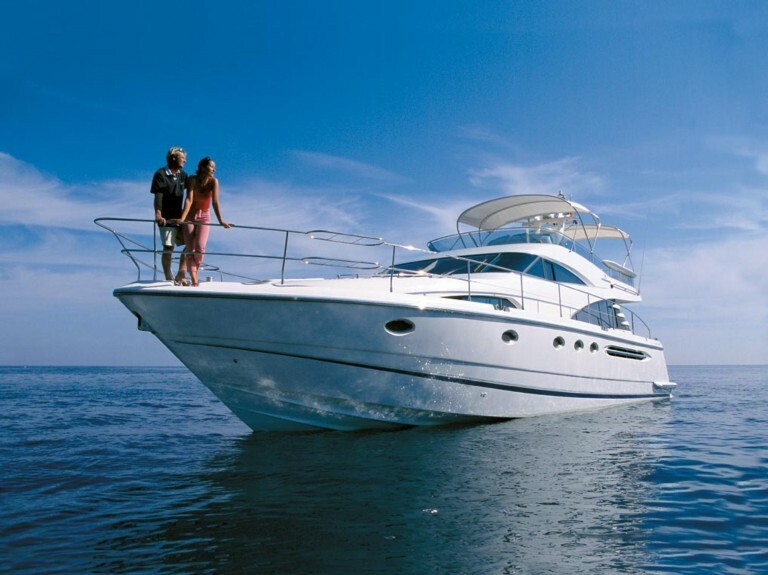 The yacht can accommodate up to 6 guests in 3 comfortable, stylish and luxurious cabins. 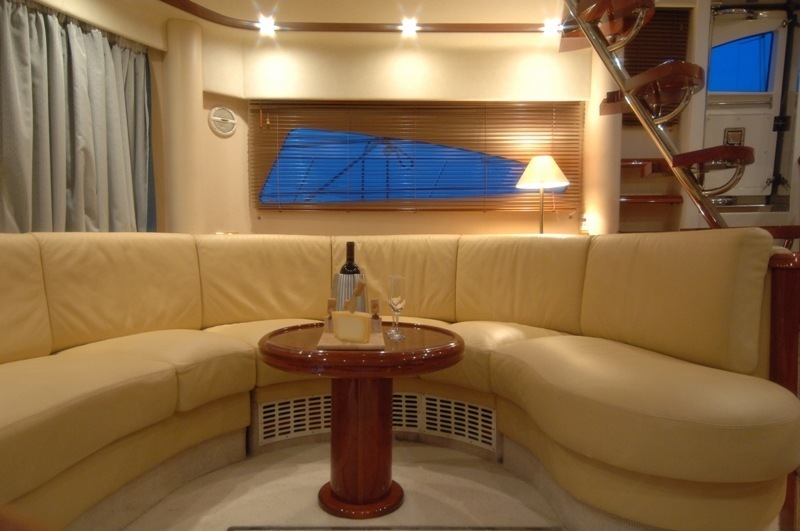 One is master bedroom and the other two are twin cabins but convertible into double and master cabin. 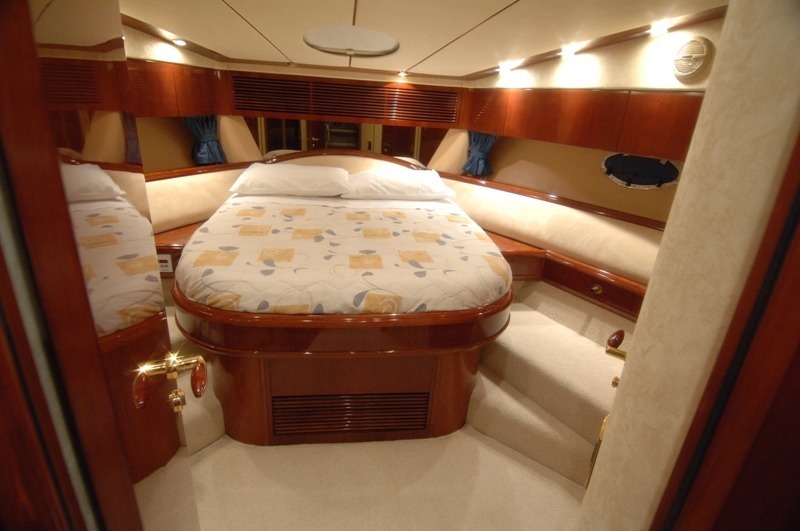 Crew sleeps separately in the two aft cabins. 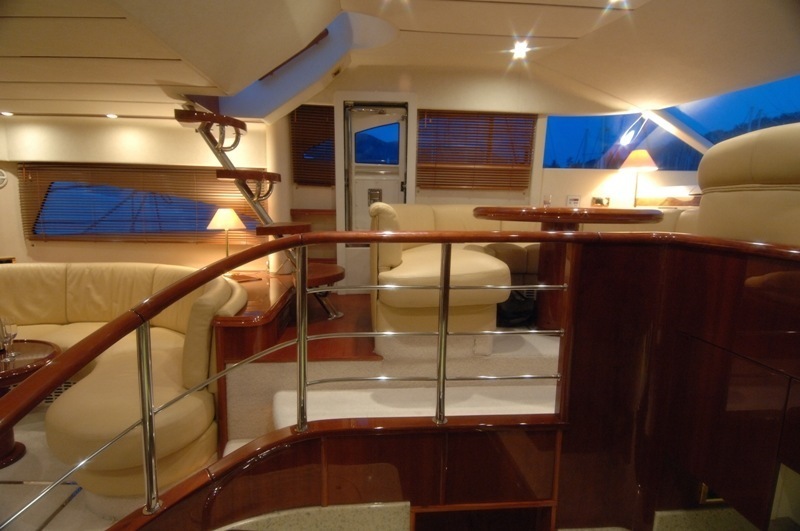 This vessel has been very well maintained and is in excellent condition. • Fresh water capacity: 572 lit. • Fuel capacity: 2.200 lit.